Slow Worm, also known as blind worm may look like a snake, but is in fact a limbless lizard that inhabits all parts of Europe, except Northern Scandinavia, Ireland and Southern part of the Pyrenean Peninsula. These lizards have gone a peculiar way in evolution, getting rid of their limbs. 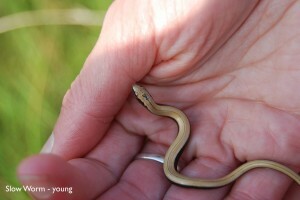 Slow Worm is 28 to 50 cm long. There are multiple key differences for identifying this lizard and telling it apart from a snake. First of all, snakes are covered in sharp scales, whereas the scales of the Slow Worm are sleek. Slow Worms also have eyelids and they can blink eyes, which snakes cannot. And lastly, if you see a “snake with no tail” you can be sure it’s not a snake, but a Slow Worm which has shed its tail to get away from predators. The Slow Worm needs to warm up in sun to maintain its body temperature. 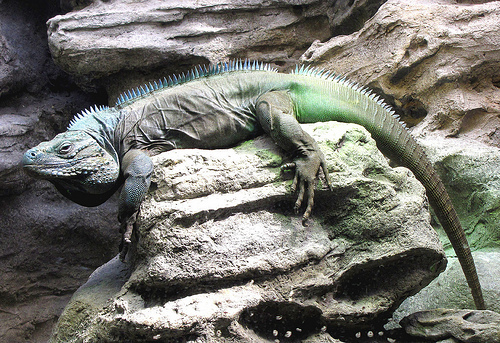 Therefore in winters, when heat from the sun is not enough and when food is scarce, these lizards hibernate. 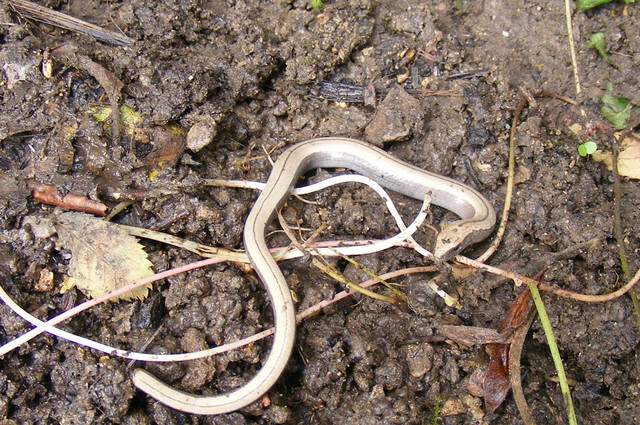 In caves, under rocks or in leaf piles, up to 30 Slow Worms can gather to spend the winter together. This is probably done to conserve heat even more. 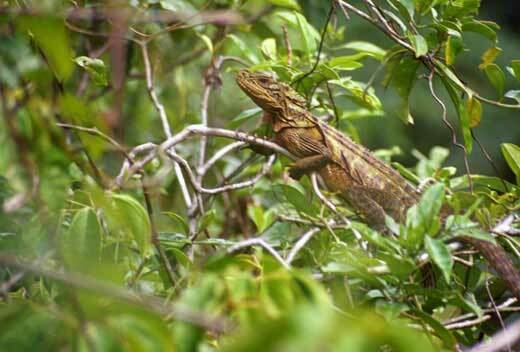 These lizards are quite slow and lazy, they prefer easy prey, such as snails and earthworms. Small snails are a delicacy for the Slow Worm, which is why many farmers are happy for the lizard’s presence, because snails do great damage to fruit growths. The Slow Worm slowly approaches its prey from behind, catches it with the toothless jaws and deliberately swallows it whole. Unlike snakes, these lizards can’t loosen their jaws to swallow massive prey, therefore the Slow Worms only hunt very small prey. Slow Worms mate after hibernation. Males fight for attention of the females, biting each other and showing their strengths in duels. Fertilized females spend much time warming in the sun and the gestation time depends on the temperature. In some cases eggs can hatch in four months, but in extremely cold weathers the female can give birth only after a year. The eggs hatch inside the female’s body and 6-20 already hatched younglings are given born – they are miniature copies of the adults and they start living independent lives already after birth. Although many people confuse this lizard with a snake and kill it, mostly fearing its venomous, the population of the Slow Lizard stable. Being helpful to many farmers and possessing no value for poachers, this creature is not deliberately hunted and this species will probably stay around for a long time. I love slow warms and i have since i was 5 years old!